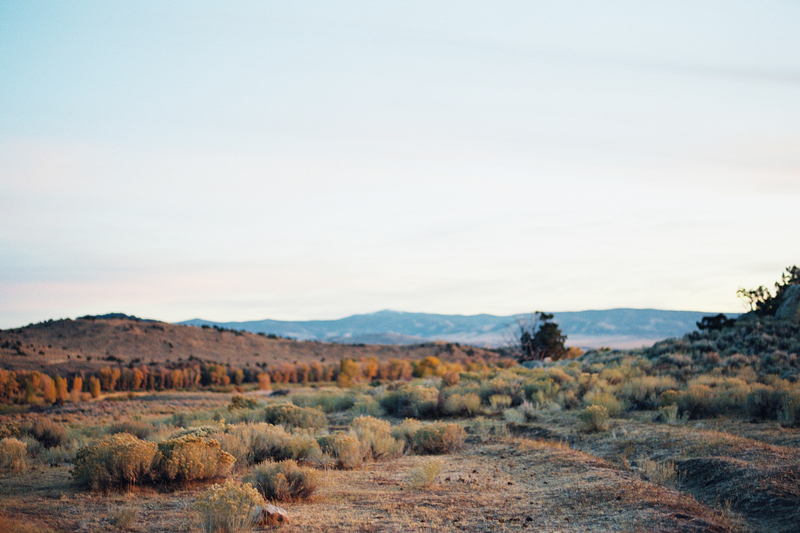 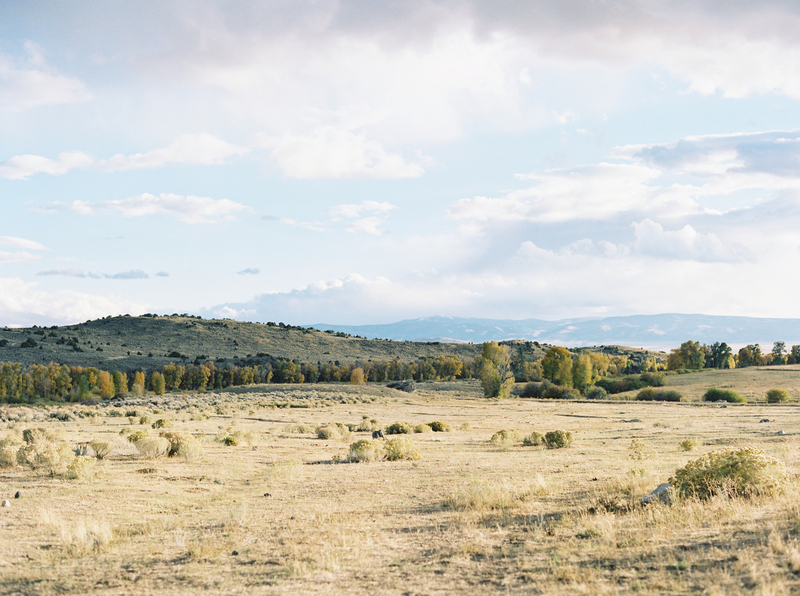 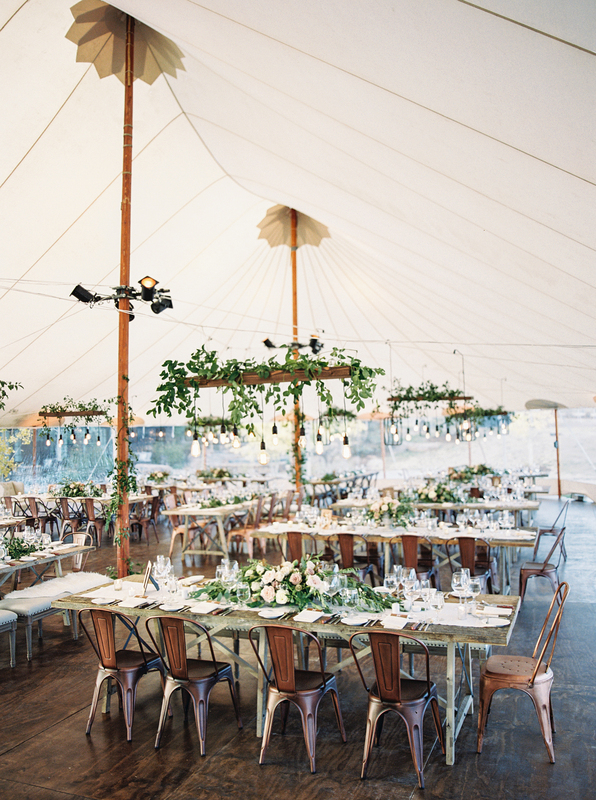 Sarah, Tony, and all their friends and family gathered this fall under a tent for a romantic field dinner in Wyoming. 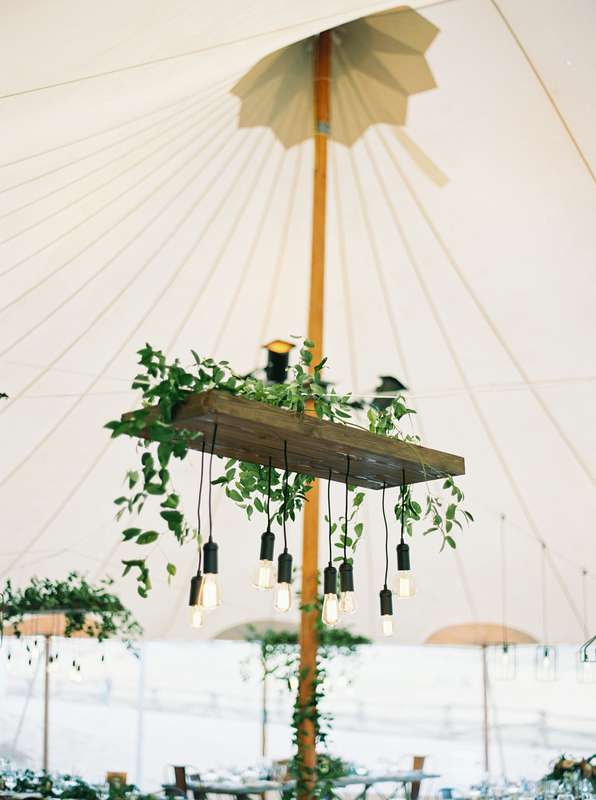 To add rustic charm, our wooden framed lighting fixtures, accented with warm Edison bulbs, decorated the ceiling of the tent. 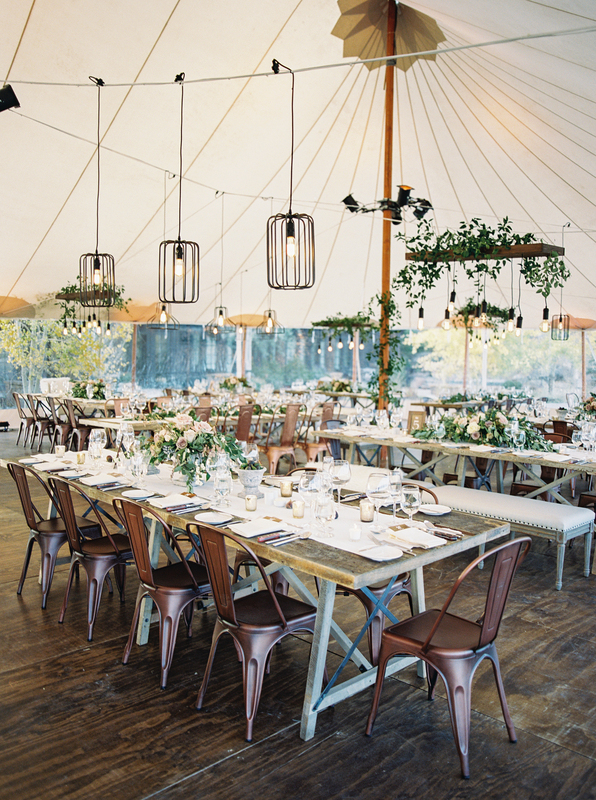 Our new copper chairs mixed with upholstered benches created a chic style that complimented the soft florals and candlelit tables. 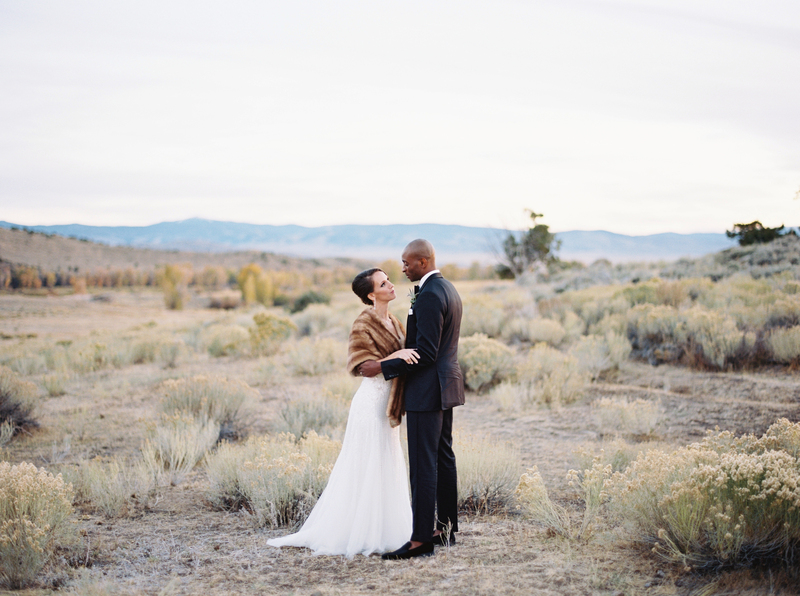 Los Angeles residents, Sarah & Tony, wanted to create a memorable 3-day wedding weekend at Brush Creek Ranch in Saratoga, Wyoming. 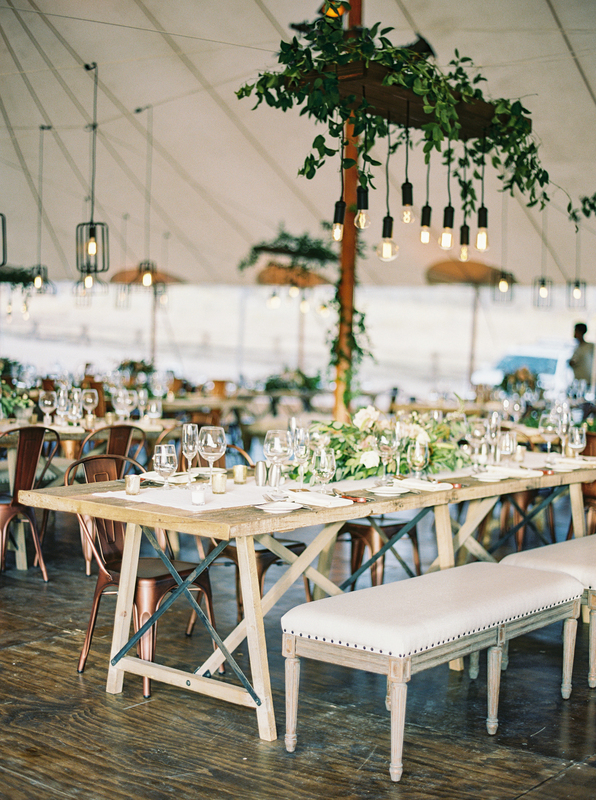 Guests came from all over the U.S. and even Nigeria – where Tony’s family is from – to enjoy the great outdoors and celebrate the two. 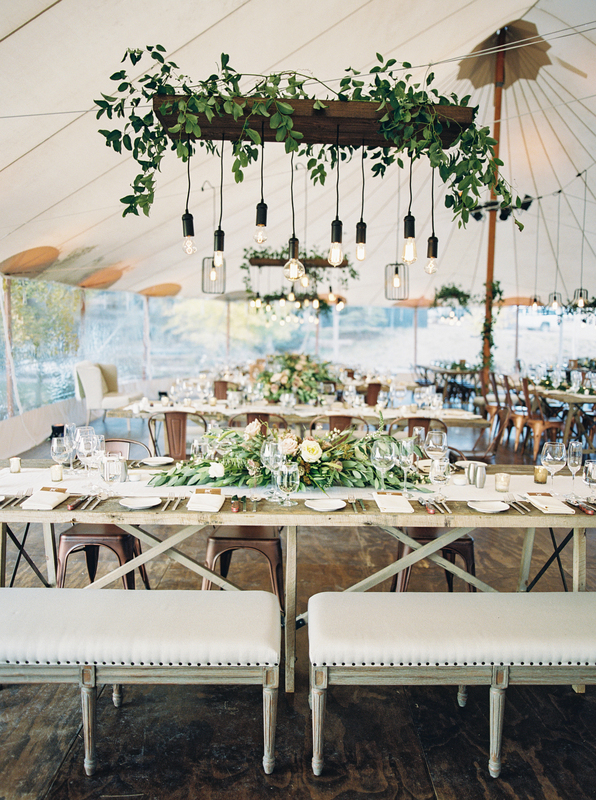 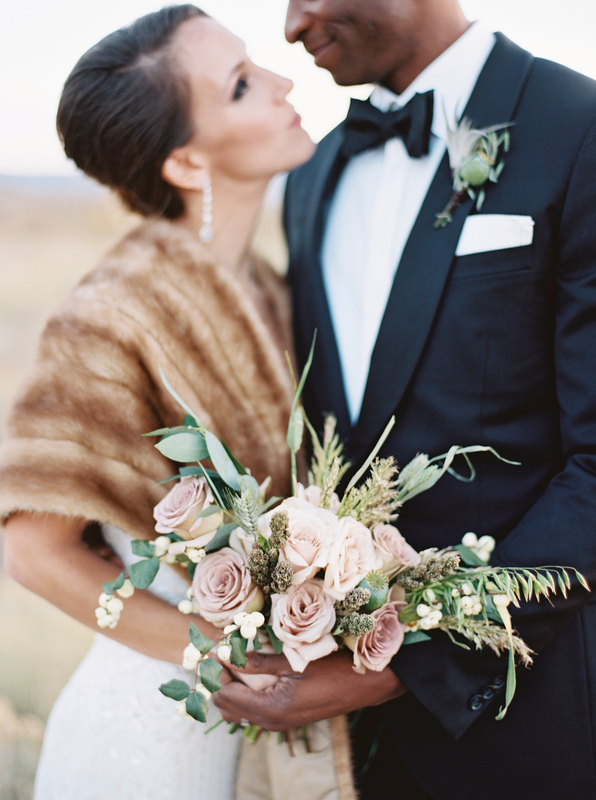 The couple wanted to pair decor elements with the beautiful surroundings of the ranch during the fall season. 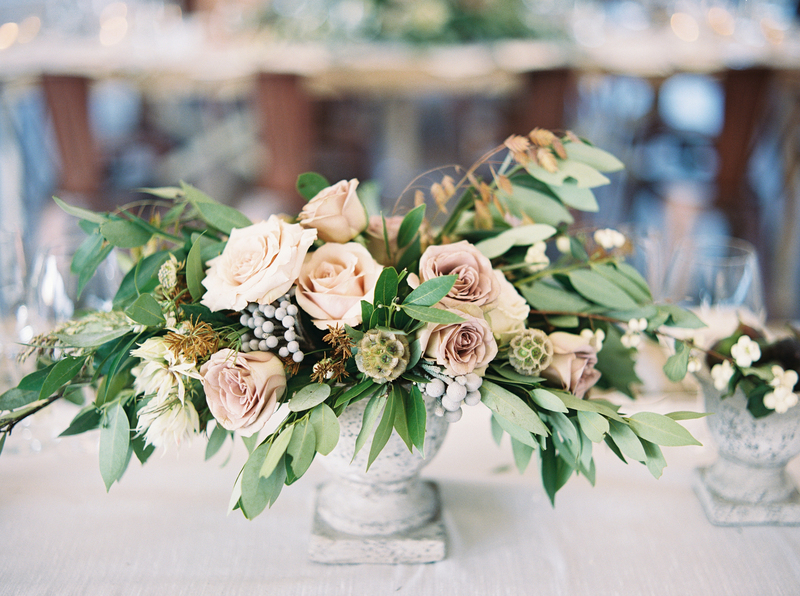 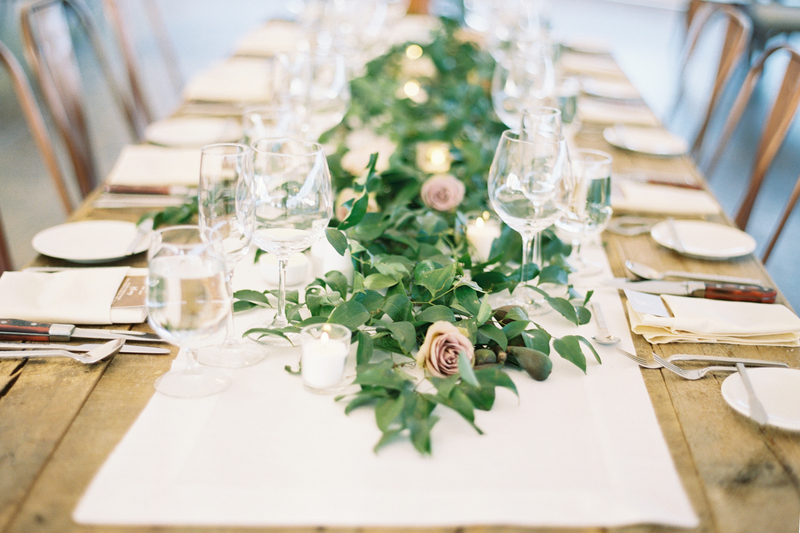 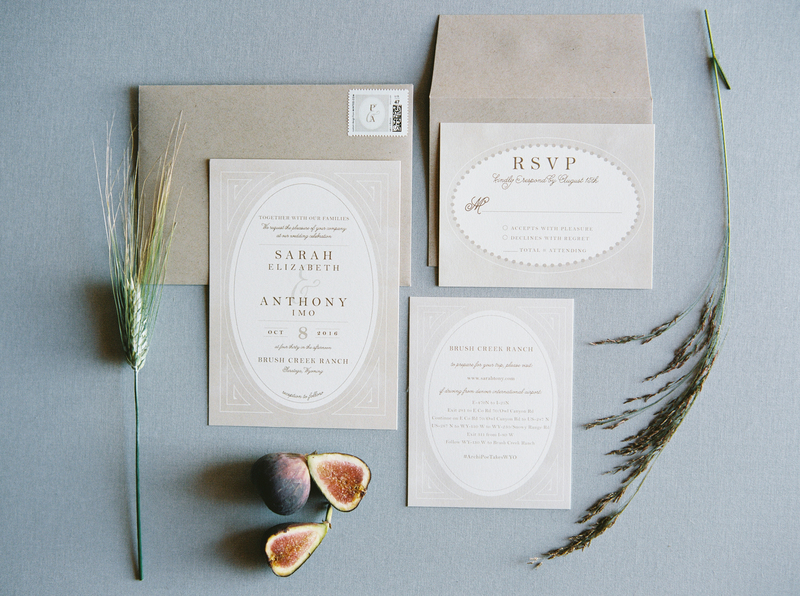 Dusty lavender, sage, wheat, and whites were incorporated into the floral designs, ceremony and reception decor. 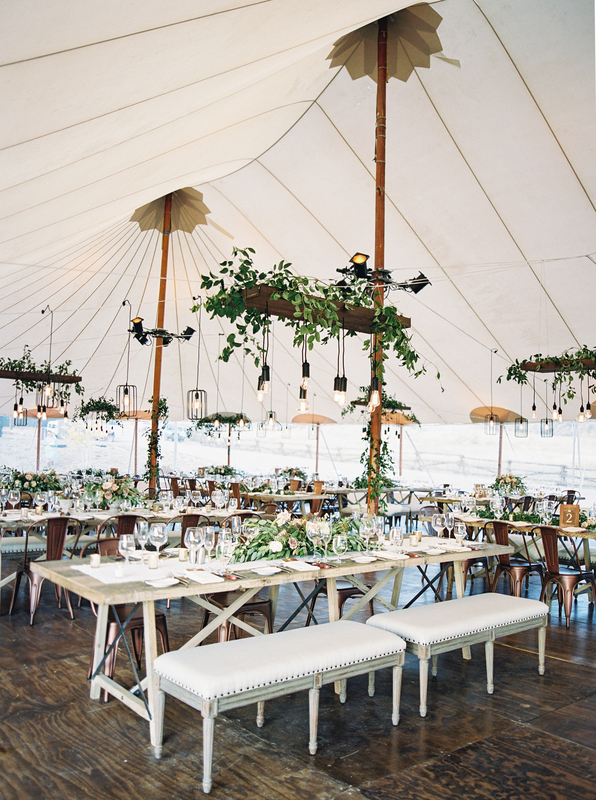 The ceremony took place inside with candle light, rustic wood pews and greens hanging from the light fixtures above. 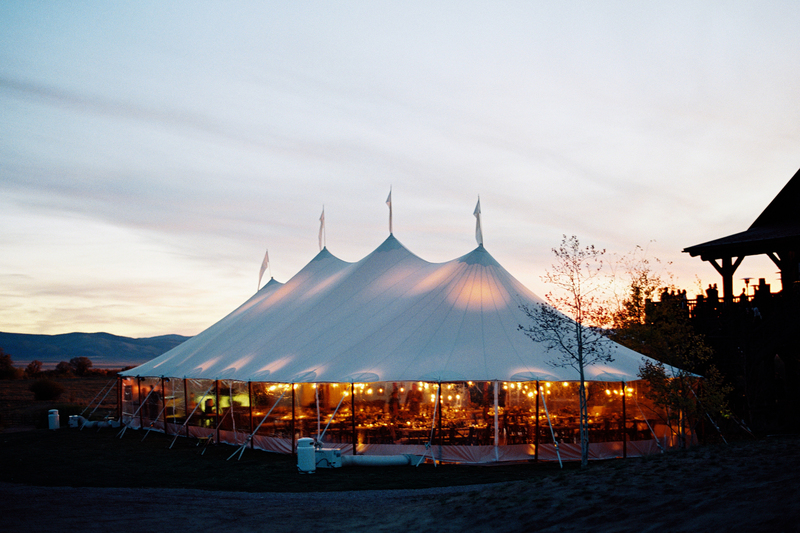 Guests got to enjoy cocktail hour on the deck of the main lodge witnessing the beautiful sunset and were welcomed into the grand tent for dinner and dancing. 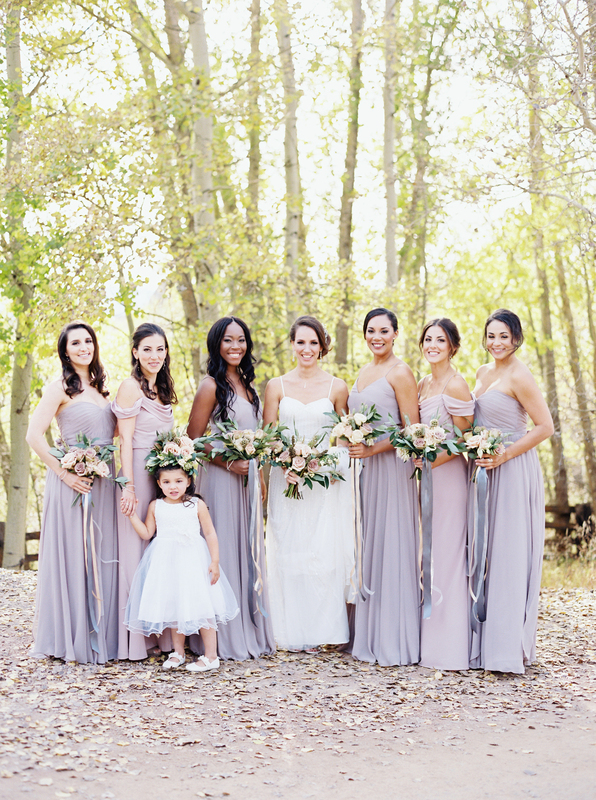 See all the photos and festivities on the Style Me Pretty feature!